In BC, the provincial protocol for babies born in hospital is to receive follow-up by a public health nurse within 24 to 48 hours of arriving home. Liaison Forms are a summary of the pre-natal care, birth, and current status of mom and baby, that are filled out by hospital staff and passed on to public health to coordinate follow-up. Typically, Liaison Forms are the only way public health is aware that mom and baby are home – if not done, or missing key information, mom and baby will likely be missed and not receive the care they need. 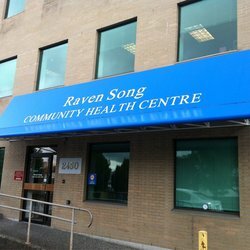 To improve transitions of care for new moms and babies living in Vancouver, Raven Song Community Health Centre and BC Women’s Hospital + Health Centre (BC Women’s) began a collaborative partnership in 2013. Under the leadership of Esther Sigurdson, Clinical Educator at Raven Song, the team discussed challenges with the current Liaison Form and how to make the process easier for BC Women’s staff. Prior to 2012, BC Women’s had dedicated Liaison Nurses who would fill out Liaison Forms and provide all the necessary information to Raven Song. But when that program was cancelled (in 2012) BC Women’s post-partum nurses took over. That’s when inconsistencies were noticed in the way Liaison Forms were being filled out. Working with Terri Aitken, BC PSLS Coordinator at Vancouver Coastal Health, Esther and BC Women’s staff looked at their BC PSLS data to investigate how many moms and babies were missed due to missing Liaison Forms or incomplete information – there were 43 reported in 2014. Esther credits the staff at BC Women’s and Terri for their collaborative approach to achieving this success and turning things around. She says this project has been very empowering because it’s given public health a voice and brought the two organizations together to focus on quality of care and patient safety. In 2016, Esther and Terri say they plan to develop guidelines to help staff with reporting these issues in BC PSLS. We look forward to catching up with them later this year to learn more. Congratulations Raven Song and BC Women’s! Esther would like to express her appreciation to the staff at BC Women’s Hospital + Health Centre for their commitment to this project. She looks forward to working together in 2016. Thank you for this story! Great content!